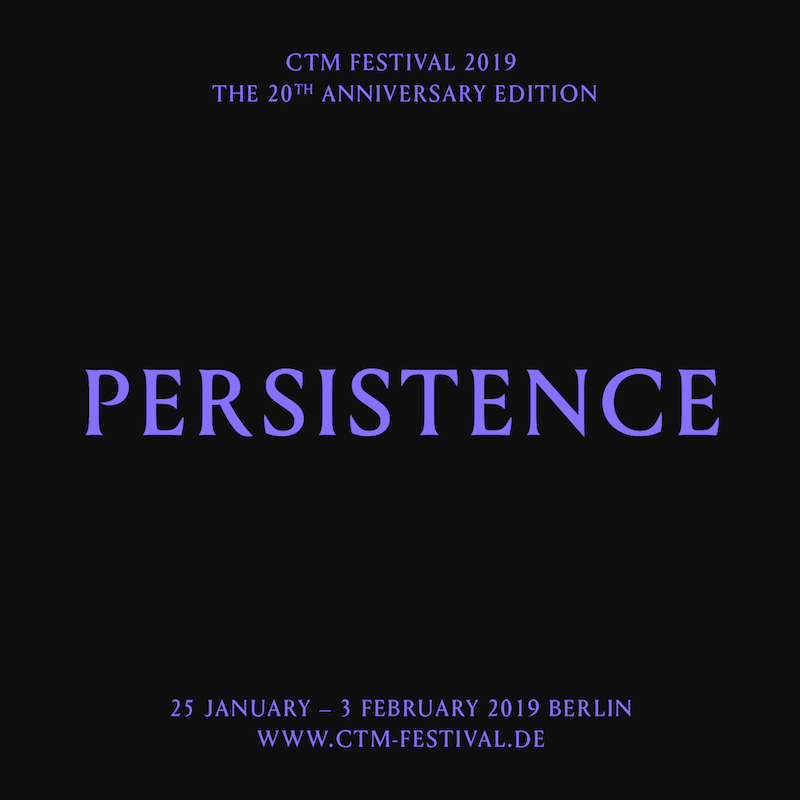 CTM festival has been a mainstay of Berlin’s experimental electronic music scene for some 20 years, with a history that traces back to the ripe end of the 1990s, the decade that arguably laid the foundation for contemporary electronic music as it exists today. With a devotion to the sonic and the experimental, CTM describes itself as “the festival for adventurous music and art”, and it certainly lives up to this promise with a steady 10-day programme of club nights, concerts, performances, screenings, installations and exhibitions to celebrate its 20th birthday this year. Continuing from last year’s theme, turmoil, this year’s festival structures itself around the theme of persistence, leaving space for a broad interpretation of the concept. Not only has CTM persisted for 20 years amid a growing and changing underground experimental art and music culture, the culture itself has persisted—and with strength—in a world that often finds little space for artistic experimentation. The ‘Persistent Realities’ exhibition at Kunstraum Kreuzberg / Bethanien strives to address these notions of persistence, working with the idea that society is constantly grappling with the push-pull tension between tradition and progress, continuity and change. 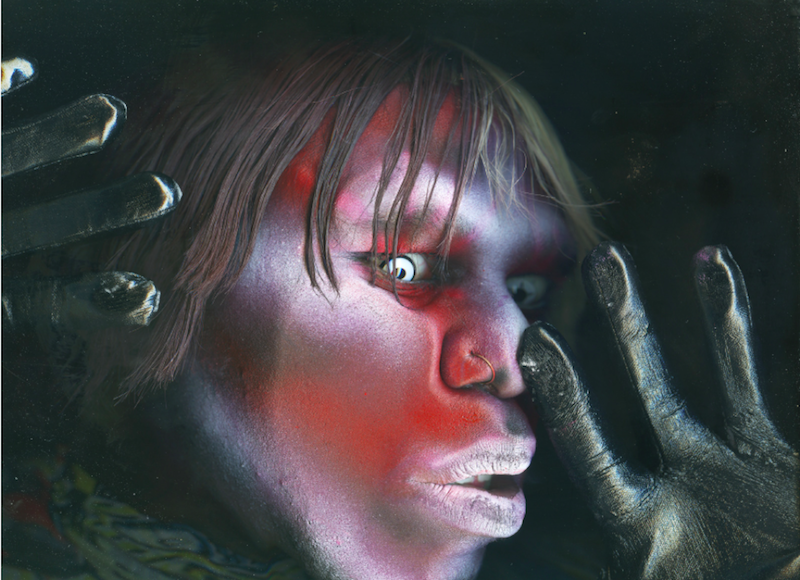 The exhibition brings together several distinguished artists and curators, whose work collectively addresses the conditions of a society in which “a myriad of trajectories and momentums create a restless world”, effectively inviting its audience to consider what it is to endure, fight, and persist. Running concurrently at Kunstraum Kreuzberg / Bethanien is Brendan LaBelle’s ‘The Other Citizen: Archive’, an experimental archival project that considers the notion of citizenship outside nationhood. At Halle am Berghain, Nik Nowak’s The Mantis takes on sound as a weapon, with a colossal two-tonne sound sculpture/war machine that recalls the sonic battles between East and West Germany, an absurd sonic conflict that persisted for four years between 1961 and 1965. Fatima Al Qadiri // Press photo by Fijla Nabeel, Courtesy CTM Festival. CTM’s live performances are no less boundary-pushing. DJ AZF, Sote, venetian snares and The Black Madonna take over Berghain/Panorama Bar on February 1st, with high energy performances under the title ‘As If We Had Power / As If We Were Loved’. Fatima Al Qadiri makes a Berlin debut next to Deena Abdelwahed and Lecken at SchwuZ on February 2nd, delivering a powerful performative rejection of transphobia and sexual conservatism. The closing concert at Heimathafen Neukölln features the label and collective CURL (Brother May, Coby Sey and Mica Levi); the soulful, R&B influenced Tirzah; as well as the eponymous Yves Tumor, known for his unpredictable live performances and relentlessly provocative yet smooth sound. A curious twist to the 2019 edition of CTM is ‘Eishalle’ at Halle am Berghain, which runs beyond the duration of the festival, from January 25th to February 10th. Set to a soundtrack of ever-eclectic and experimental DJ sets, festival-goers are invited to bring their skates (or rent a pair) and test out their “ice-dancing skills” to the sounds of Freak de l’Afrique, Skatebård, Kyoka, Robert Lippok, Grischa Lichtenberger, Mieko Suzuki and many more.